What happens if my human team gets caught by the zombies? If you are playing on a human team and your team ends the day in contact with the Zombie Horde, a human vs. zombie clash will ensue. 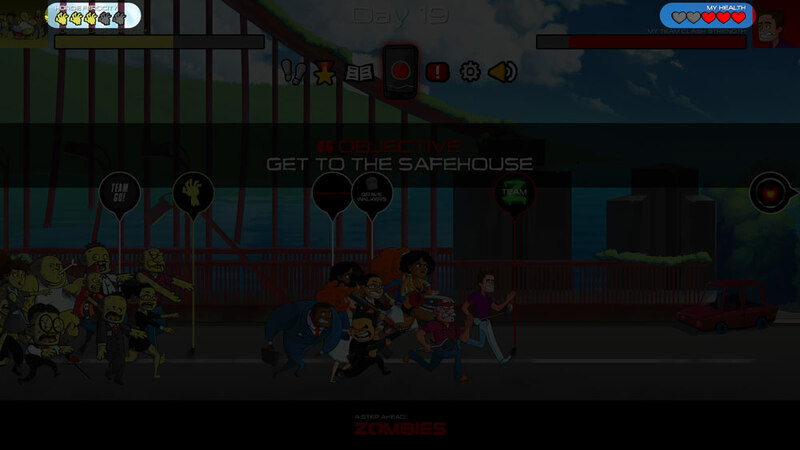 A human vs. zombie clash outcome is determined by comparing the clash strength of the human team and the Zombie Horde. Whichever group has the greater clash strength will win the clash. If you look at the A Step Ahead: Zombies game board, simply compare your team’s clash strength meter to the zombie horde clash strength meter to see who will win in a clash. If your team wins a clash against the Zombie Horde, you’ll push the zombies backward, making staying ahead of the horde easier the next day. Note that your character still takes health damage even if your team wins the clash. The amount of health damage is shown on the game board by the horde’s ferocity rating, which has one zombie claw for each health heart your character has. If your team loses a clash against the Zombie Horde, the zombies will surge forward and you’ll have to go through them in order to escape the next day. As noted above, your character will take health damage based upon the horde’s ferocity rating. 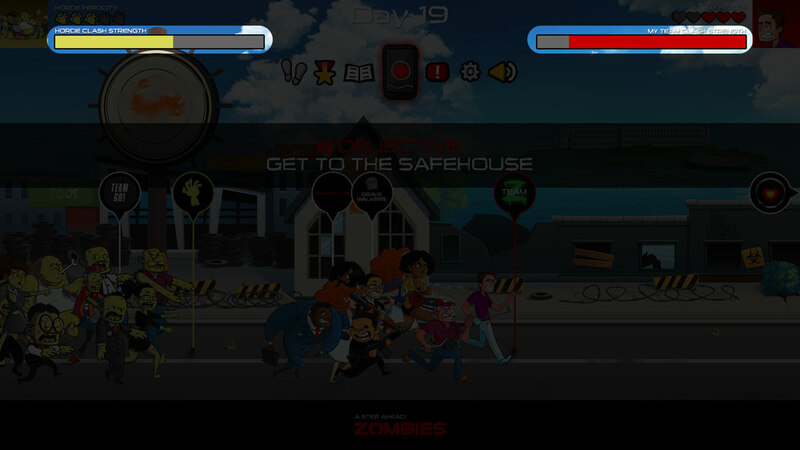 If your character’s health is reduced to zero as a result of a clash, you will become sick with the zombie virus. If you become sick, you have one day to track some healthy diet and/or lifestyle items to recover some of your lost health or you will turn into a zombie the following day. Note that if the horde’s ferocity is at its maximum, you may need to recover health AND escape the horde the following day in order to avoid being turned. What do the hearts and zombie claws mean?